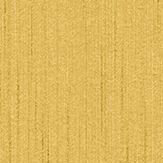 This European brand is renown for its exclusive and innovative design. A naturalistic faux raw silk fabric design created with vertical fabric fibres, which co-ordinates with the patterns in this collection. Shown in the black colourway. Please request sample for true colour and texture. Free pattern match. As this is a luxury item, for best results we recommend that you use a good quality lining paper. 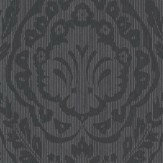 A beautiful faux silk fabric damask in a classic ogee, diamond shape with a soft raised texture over vertical fabric fibres. Shown in the black colourway. Please request sample for true colour and texture. As this is a luxury item, for best results we recommend that you use a good quality lining paper. 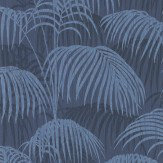 A beautiful faux silk fabric all over, palm leaf design with a shadow effect and a soft raised texture over vertical fabric fibres. Shown in the black colourway. Please request sample for true colour and texture. As this is a luxury item, for best results we recommend that you use a good quality lining paper. 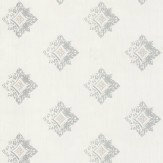 A beautiful faux silk fabric damask in a classic ogee, diamond shape with a soft raised texture over vertical fabric fibres. 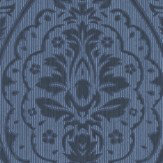 Shown in the midnight blue colourway. Please request sample for true colour and texture. As this is a luxury item, for best results we recommend that you use a good quality lining paper. 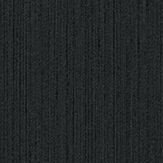 A naturalistic faux raw silk fabric design created with vertical fabric fibres, which co-ordinates with the patterns in this collection. Shown in the midnight blue colourway. Please request sample for true colour and texture. Free pattern match. As this is a luxury item, for best results we recommend that you use a good quality lining paper. 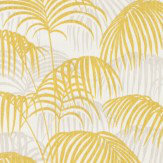 A beautiful faux silk fabric all over, palm leaf design with a shadow effect and a soft raised texture over vertical fabric fibres. Shown in the midnight blue colourway. Please request sample for true colour and texture. As this is a luxury item, for best results we recommend that you use a good quality lining paper. 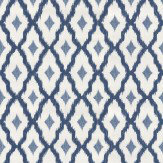 A smart faux silk fabric geometric diamond pattern with a distressed ikat effect shape with a soft raised texture over vertical fabric fibres. 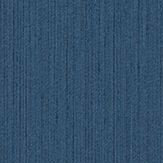 Shown in the midnight blue colourway. Please request sample for true colour and texture. As this is a luxury item, for best results we recommend that you use a good quality lining paper. Pattern repeat 16cm. 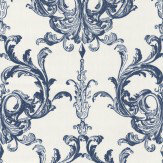 A beautiful faux silk fabric damask in a decorative scroll style shape with a soft raised texture over vertical fabric fibres. Shown in the midnight blue colourway. Please request sample for true colour and texture. As this is a luxury item, for best results we recommend that you use a good quality lining paper. 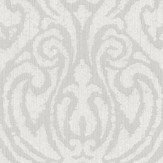 An elegant motif design on a beautiful faux silk fabric effect wallcovering with a soft raised texture over vertical fabric fibres. Shown in the opal white and silver grey colourway. 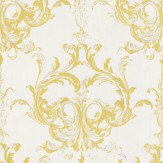 Co-ordinating tile effect also available. Please request sample for true colour and texture. As this is a luxury item, for best results we recommend that you use a good quality lining paper. 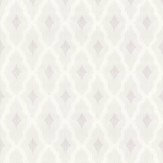 A smart faux silk fabric geometric diamond pattern with a distressed ikat effect shape with a soft raised texture over vertical fabric fibres. Shown in the opal white colourway. Please request sample for true colour and texture. As this is a luxury item, for best results we recommend that you use a good quality lining paper. Pattern repeat 16cm. 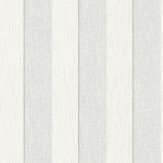 A beautiful faux silk fabric stripe design with a soft texture and vertical fabric fibres. Shown in the silver grey and opal white colourway. Please request sample for true colour and texture. Free pattern match. As this is a luxury item, for best results we recommend that you use a good quality lining paper. 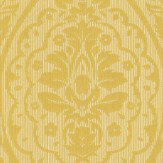 A beautiful faux silk fabric damask with a soft raised texture over vertical fabric fibres. Shown in the white on opal white colourway. Please request sample for true colour and texture. As this is a luxury item, for best results we recommend that you use a good quality lining paper. 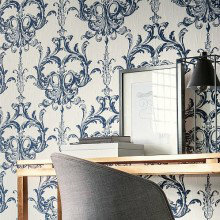 A beautiful faux silk fabric damask in a decorative scroll style shape with a soft raised texture over vertical fabric fibres. Shown in the chartreuse yellow colourway. Please request sample for true colour and texture. As this is a luxury item, for best results we recommend that you use a good quality lining paper. 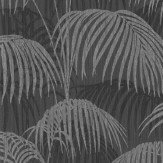 A beautiful faux silk fabric all over, palm leaf design with a shadow effect and a soft raised texture over vertical fabric fibres. Shown in the chartreuse yellow colourway. Please request sample for true colour and texture. As this is a luxury item, for best results we recommend that you use a good quality lining paper. 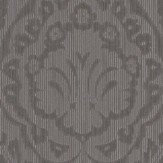 A beautiful faux silk fabric damask in a classic ogee, diamond shape with a soft raised texture over vertical fabric fibres. Shown in the rich chartreuse yellow colourway. Please request sample for true colour and texture. As this is a luxury item, for best results we recommend that you use a good quality lining paper. A naturalistic faux raw silk fabric design created with vertical fabric fibres, which co-ordinates with the patterns in this collection. Shown in the chartreuse yellow colourway. Please request sample for true colour and texture. Free pattern match. As this is a luxury item, for best results we recommend that you use a good quality lining paper.